April 5, 2016 April 6, 2016 by midgeguerrera, posted in Food - Eating In and Out! For the past couple of years we have landed in Milan and enjoyed 3 days of the urban experience before heading for the hills of Campania. Why? So that I can walk city streets, smell city air and taste the food of great restaurants that are a subway ride or few block walk away from where we are staying. This trip we are staying at a sweet albergo – 3 stars – Il Girasole – just a few metropolitan stops away from Milan’s historic center. That means we get to try neighborhood – not tourist – restaurants. Our hotel host, Matteo, suggested Vineria San Giovanni located on Via Le Monza 256. I didn’t bother to check out Vineria San Giovanni (the link goes to their Facebook page). Vineria means winery, so we didn’t know what to expect – was this a cantina where we could fill a five liter jug from a gas like pump? He said the menu was small but good. So trusting, we just walked the five blocks from the hotel not knowing what to expect and entered a wine and foodie heaven. 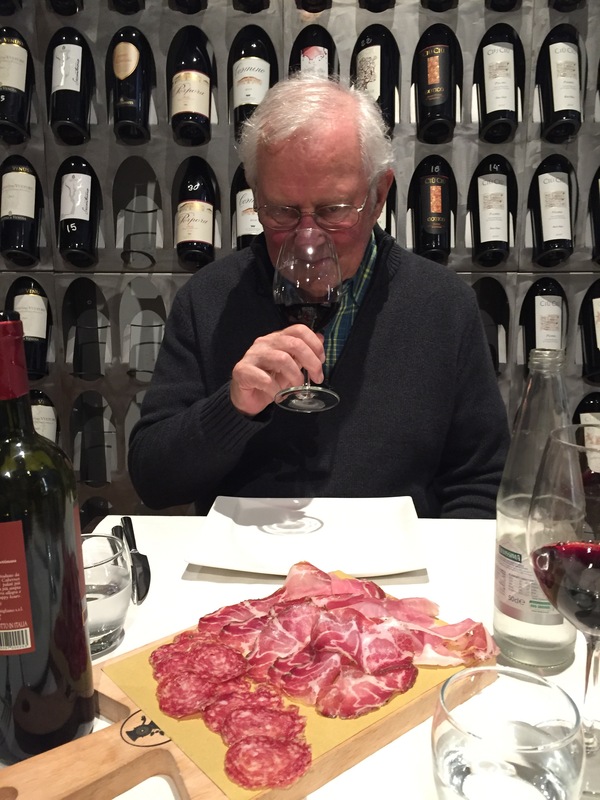 Jack is surrounded by Italian wine – a happy camper! Everyone is wondering about the wine. Don’t raise your eyebrows – I know you are. It was after all Vineria San Giovanni! 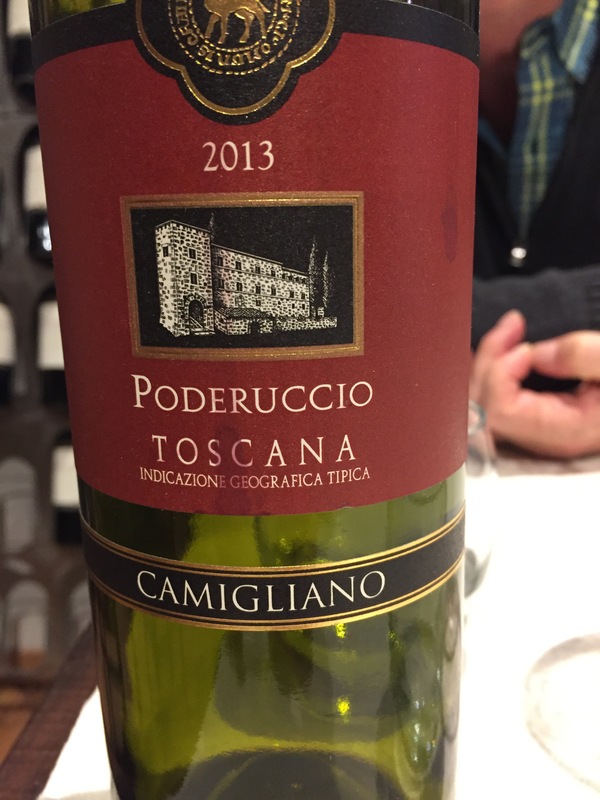 We had a Tuscan blend of merlot and rats – neither of us can remember! But here is the label. For €18 we thought it was a New York bargain. The price point was less than a New York City restaurant and the food was amazing. Oh, I forgot – espresso was only €1. 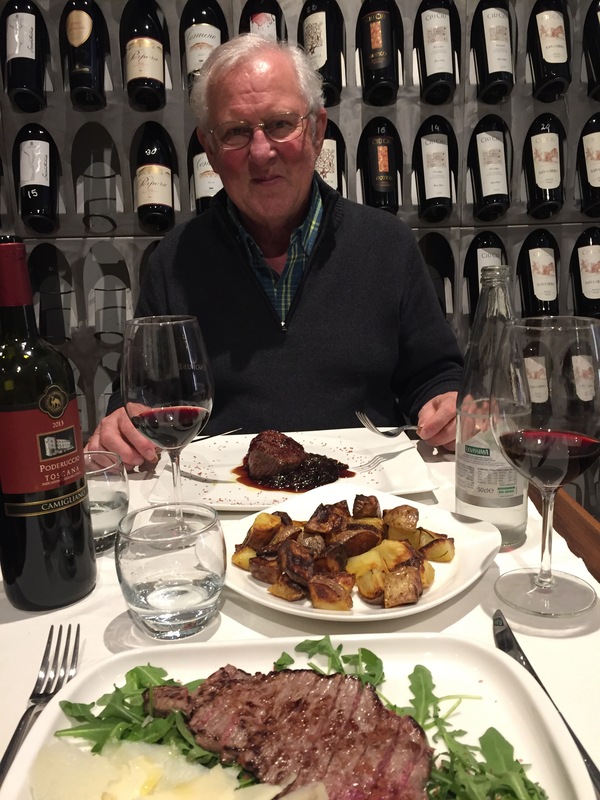 If you find yourself in Milano on business or just exploring Italy give Vineria San Giovanni a try. Info@vineriasangiovanni.it! We’ve got a guest room! We ate there also!! Amazing experience. Every restaurant the B and B suggested was wonderful. So glad you enjoyed! Chortle. First I wrote shite I don’t remember.